Colette O'Leary was born in the highly musical area of Sliabh Luachra in Co. Kerry in the south west of Ireland. Her musical career began at the age of five when she took her first piano accordion lesson. By the age of eighteen, she had won two All-Ireland titles. From 1996-2002, Colette released two albums and performed worldwide with highly acclaimed all girl Irish group The Bumblebees. Colette O’Leary was born in the highly musical area of Sliabh Luachra in Co. Kerry in the south west of Ireland. Her musical career began at the age of five when she took her first piano accordion lesson. By the age of eighteen, she had won two All-Ireland titles. From 1996-2002, Colette released two albums and performed worldwide with highly acclaimed all girl Irish group The Bumblebees. 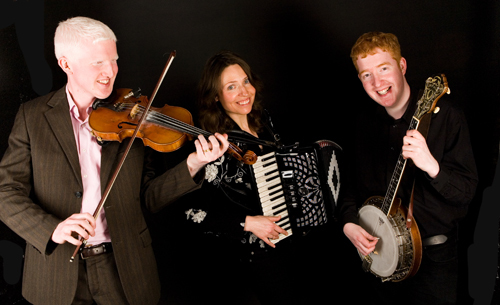 Colette’s band The Long Notes Scottish and Irish Ceilidh (Ceili) Band are England’s premier band for weddings, ceili’s, barndances, concerts, corporate events and parties. 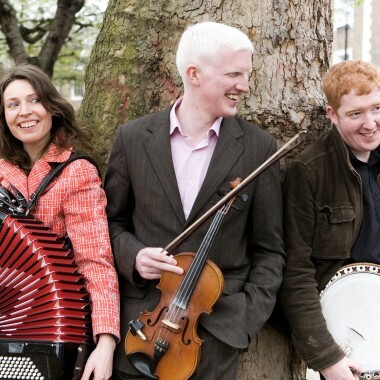 All supremely accomplished musicians with multiple All-Ireland and All-Britain titles, The Long Notes are Colette O’Leary (accordion), Jamie Smith (fiddle, caller) and Brian Kelly (banjo/mandolin). One of the most respected bands on the circuit for the past six years, they have performed for Her Excellence President Mary McAleese and the Latvian President at Dublin Castle, Princess Anne at the Guildhalll, Irish Ambassador Mr. David Cooney at the Irish Embassy, Mayor of London, Jasper Conran, Antonio Carluccio, Thandie Newton, and Stephen Rea to name but a few. The Long Notes have also played at countless Scottish and Irish weddings and corporate events. include L’Orient Interceltique Festival Brittany, Milwaukee Festival US. They have toured extensively throughout Austria, Germany, Italy, France, Scotland, Ireland and Wales.